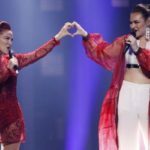 Just the previous week the national broadcaster of San Marino, SMRTV, had announced that it had already chosen its Eurovision 2019 representative and the song that will compete at the next edition of the contest in Tel Aviv.. The announcement referred to an international artist to represent the country. Through a new notification the national broadcaster, informed that the country’s Eurovision 2019 representative will be announced on January 21. That exact reference to an international artist alongside with Rodrigo Alves’ post on his social media accounts arouse speculations wheather he will be the next Eurovision act. On the other hand similar posts brought forward as a potential Sammarinese representative the russian origin female act, Daryana Kraieva when on her website her team mentioned that she had been selected as the next Eurovision act for San Marino. However, the national broadcaster has acknowleged all these rumors and just revealed that all the details on San Marino’s Eurovision 2019 participation will be revealed on January 21 through a special press conference.